For over 14 years, Kids on the Coast and Kids in the City magazines have delivered inspiring, informative and trusted local parenting publications to thousands of Southeast Queensland families. Ingrained in our local community we set ourselves apart through our rich connection to the local market. 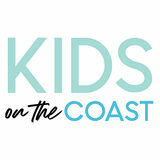 Because of our well-respected editorial integrity, the Kids on the Coast and Kids the City brands have become a valued resource for local knowledge, news, events, things to do, education information and community connection. Now with a thriving digital space our community extends beyond our print publications through to a highly engaged and growing online audience.